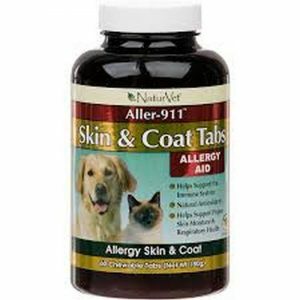 NaturVet® Aller-911® Skin & Coat Tabs are promoted to support the immune system and maintains proper skin moisture. NaturVet® Aller-911® Skin & Coat Tabs is intended for dogs and cats. It also helps maintain the respiratory system and combats environmental pollutants. Only use in dogs and cats over 12 weeks of age. 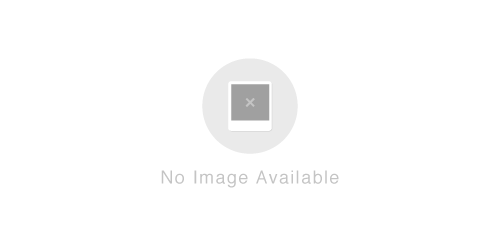 Citric Acid, Dicalcium Phosphate, Magnesium Stearate, Maltodextrin, Microcrystalline Cellulose, Mixed Tocopherols, Montmorillonite Clay, Natural Flavoring, Rosemary Extract, Silica Aerogel, and Stearic Acid. NaturVet® Aller-911® Skin & Coat Tabs does not provide a MSRP, which is the manufacturers retail cost of the product. NaturVet® Aller-911® Skin & Coat Tabs states that it contains Omega-3 and EPA, is its formula. For optimal results, use as directed.